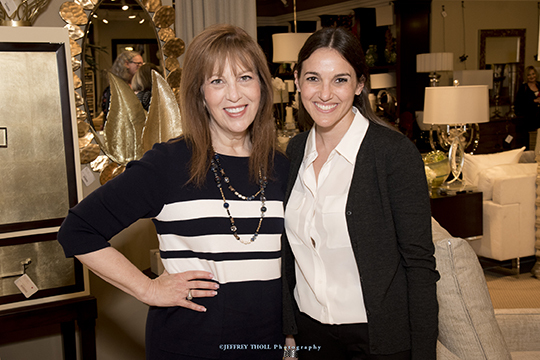 Jewish Women’s Foundation (JWF) hosted their opening Wine and Welcome event at Brown’s Interior Design last week. While guests enjoyed wine and hors d’oeuvres, several grant recipients shared how the funding they received from JWF made a significant impact on them and their programs. From the attorneys at the Center for Women’s Justice who are enacting changes in the Israeli court system on the Get (Jewish Divorce) issue, to the special needs adults who are receiving therapeutic assistance through their Ability Garden at JARC, and the tweens who receive free Jewish books through PJ Our Way™ and connect with other Jewish kids ages 9-12, through programs funded by JWF, it was a unique opportunity for JWF trustees and prospective donors to hear firsthand how their support can make a difference. Thank you to our generous event sponsor, Brown’s Interior Design and our In-Kind Sponsor Southern Glazer’s Wine & Spirits. For more information on JWF, please contact Lisbeth Rock at LisbethC@bocafed.org or 561.852.3188.